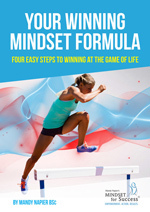 Known as the ‘Mindset Alchemist,’ Mandy Napier is a Global Mindset & Peak Performance Coach, Speaker, Educator, Facilitator and Author of ‘Creating Healthy Life Habits’. Mandy coaches high achieving driven professionals and individuals who have a desire and commitment to continual growth and learning. Seeking clarity, turning knowledge into action and potential into wisdom. Focusing on uncovering and clearing old patterns, shifting perspectives and creating new healthy habits and behaviours, Mandy empowers people to clear their hurdles, reprogram their minds and perform at their best. Ultimately to live a richer, more meaningful life, personally and professionally. Mandy is a Master Trainer in Neuro-Linguistic Programming, (NLP & Hypnosis); a certified Mbraining Coach; Results Coach and Wealth and Talent Dynamics Consultant. She is an expert at showing people the ‘how’ to change; equipping them with solutions to their challenges, new ways of thinking, changing behaviours and creating habits in alignment with their outcomes. Mandy has a background in running sales teams and achieving and exceeding individual and team-based targets in Australia and the UK. She has represented Australia in the sport of triathlon and has competed in the gruelling Hawaiian Ironman World Championships. Mandy has studied extensively in performance psychology, human behaviour, peak performance and change technologies. Success is her focus, and a never, ever, ever give up attitude is part of her philosophy. Mandy’s adventurous spirit led her to spend six years travelling and working around the globe. Adventures include:- trekking the Himalayas, Ladakh and visiting the extreme northern areas of Pakistan; travelling down the Congo on a local river barge, spending time with the pygmies and hitch-hiking solo through Tanzania, Malawi and Zambia; travelling overland with a friend from the UK to Asia; visiting Lake Inle in Myanmar (formerly Burma) and the Golden Triangle area in Thailand. After returning to the UK for a family wedding, she stumbled into a job in travel in London and soon set up a second office with a work colleague. An opportunity to work in an affiliated office in Sydney drew her back to Australia. After a short stint in Sydney, the tropical climate of Brisbane and a new husband, called. Here she was successful in gaining a job as a State Manager for a large travel company and then transitioning to become Sales Manager. Settling in Brisbane, she competed in her first triathlon at the age of 31 and just two years later, was representing Australia at the World Long Course in Nice, France. Turning her attention to the longer courses, she qualified for and competed at the Australian Ironman Championships at Forster-Tuncurry where she qualified for and competed at the World Championships in Kailua-Kona, Hawaii at the age of 37. Despite being in peak physical fitness, Mandy found her performance was beginning to suffer due to personal challenges. Eventually, she experienced unknown health problems that resulted in her having to quit her beloved sport, overnight. Achieving minimal results from mainstream modalities, her determination to discover the root causes of her problems and regain her health led her down a different path of personal growth and development. She undertook extensive studies and training in the areas of human behaviour and potential, positive psychology, sciences of success and alternative healing modalities. Along the way she discovered cutting-edge mental tools and strategies, which helped her transform every area of her life. This was the catalyst for quitting a great career and establishing her business, Mindset for Success in 2007. Today, Mandy still loves to exercise and keep fit and believes in living a healthy lifestyle. She prefers to focus on shorter distances; is a regular Park Runner,10km and half marathon competitor. She practices Yoga regularly and loves to ocean swim and spend time with her husband and friends in their beautiful garden on the Sunshine Coast, Queensland. Mandy holds the keys for creating profound transformations and shifts in her clients’ thinking, emotional state and behaviours. Due to her holistic approach and determined nature, transformational results are the norm and the expectation of Mandy for her clients. 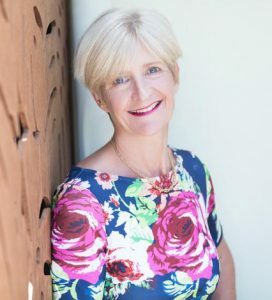 Mandy is a Master Practitioner and Trainer in Neuro-Linguistic Programming, a Results Coach and a Certified MBit (Multiple Brain Integration Techniques) Coach, and a Wealth and Talent Dynamics Consultant. Her expertise includes neurological re-patterning, subconscious programming, energy alignment, hypnosis, which allows her to the skills to help a wide variety of issues relating to achieving living a healthier more balanced life; being more authentic and congruent in all areas. She has extensively trained in platform and presentation skills and holds Provisional Member Status with the Professional Speakers Australia. She runs workshops, is a speaker, and facilitates training for leaders and their teams. She holds a Certificate IV in Workplace Training and Assessment, a Certificate IV in Small Business Management and a BSC with Honours. Mandy is committed to putting back into the community and is a Volunteer Lifeline Telephone Crisis Supporter and a partner with STEPS, a local charity. To contact Mandy please fill out the form on the right, or give her a call personally on 0408 666 176.